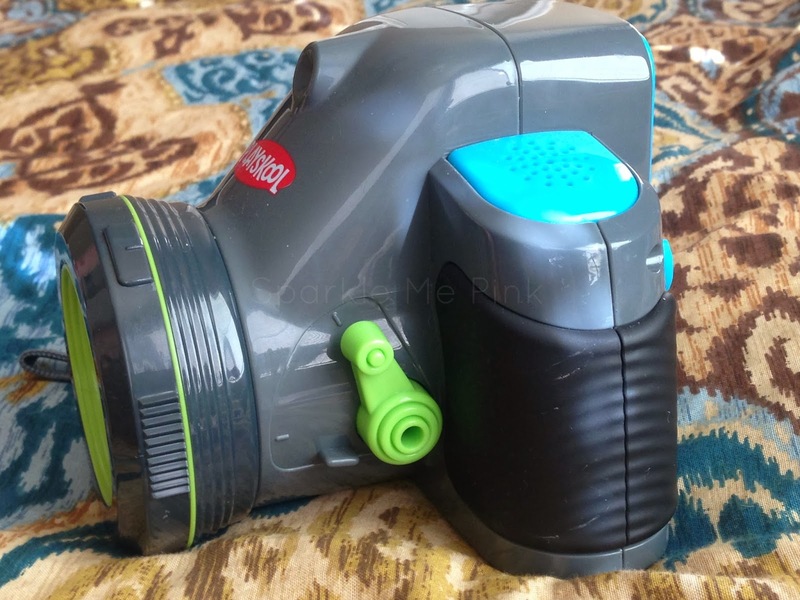 I was super excited to find out I would be able to review the Playskool Showcam 2-in-1 Digital Camera and Projector through Bzzagent's free word of mouth program. The kids and I couldn't wait for it to arrive. The kids opened it up right away and I began reading instructions. 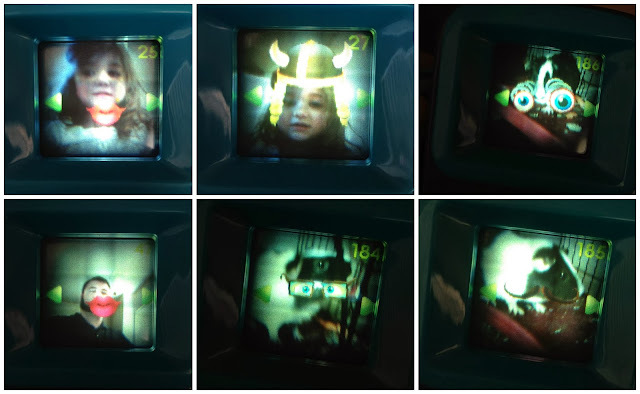 The features of it are pretty simple with large buttons and sounds to guide the kids along. I think my 5 yr old uses it the most using its picture taking, goofy frames and sound effects to snap some snazzy and random pictures. 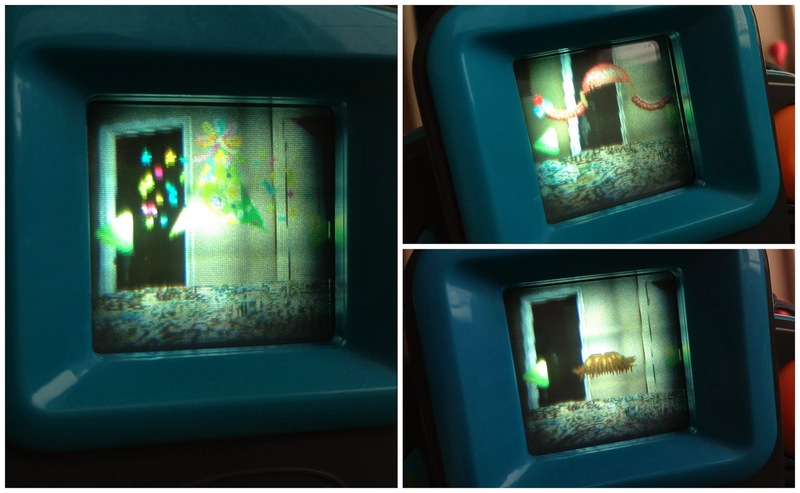 The camera also has a projector feature. Simply flip the switch on the front of the camera to project the pictures onto a blank wall. The kids get a kick out of this. As for me the quality of the image both on the lit screen and the projected image are poor quality - very low grade. Nowadays my kid has supervised access to my 'real' camera as well as our iPhones and such if he wants to take pictures that he can actually make out what they are. For me the picture quality is lacking. 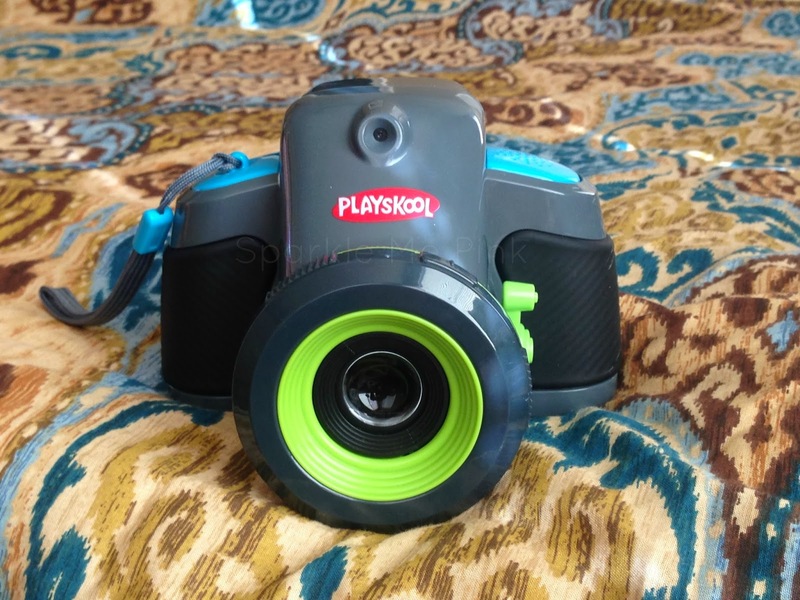 However because the features are super kid friendly and the structure of the camera is quite bulky - aka safe in little hands - easy to hold - I let me play with it unattended. 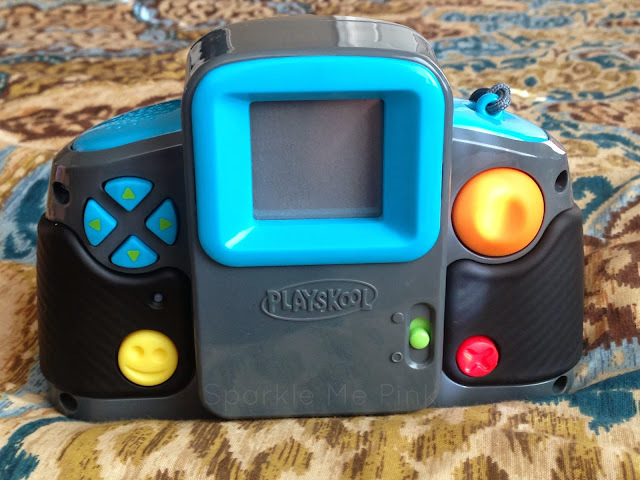 The Playskool ShowCam has no memory card to worry about which is great but it also did not come with the cord to connect it to the computer. These are my kiddos fav add ons - Birthday Hat, Pigtails and Mustache -- he puts a mustache on everything !